The Algarve! The declared goal for the holiday in 2016 after a humble north German summer start! With these conditions and the desire to finally look at Portugal and southern Spain, the work was going on. Said, done: the usual booking sites threw out a lot of hotels, which have probably experienced their best times only shortly after construction. In short, we decided to divide the holiday into Portugal, Algarve and a week in Spain each week. Is it all in two weeks? Yes, it should work with some good will. 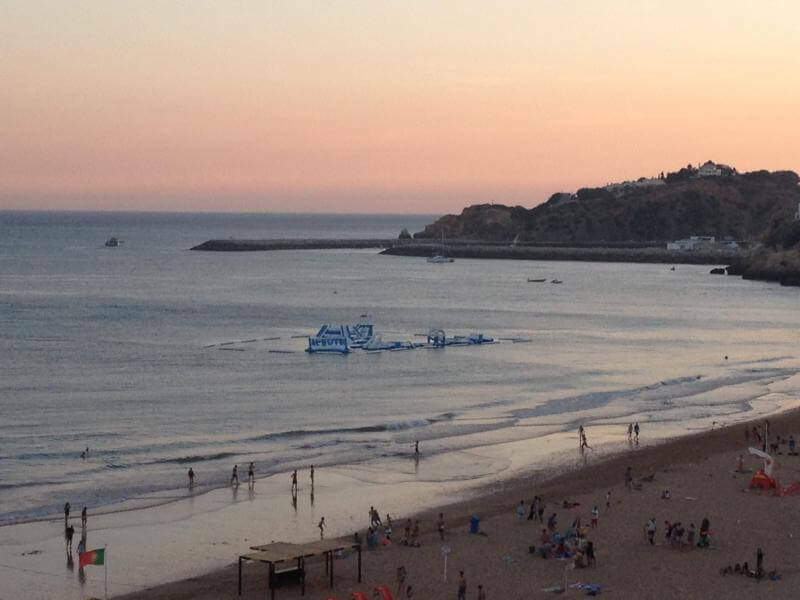 From Bremen, Ryanair went directly to Malaga; From there with the rental car to Albufeira in Portugal. After the usual procedure of the car rental companies, who wanted to into a variety of fantastic supplementary insurances, we sat in the direction of Portugal in our vehicle. The trip in Spain and Portugal was rather unspectacular; All the motorways were as free as you would like in Germany. After the bridge over the Guadiana River you will be greeted directly at the toll station in Portugal. The car is registered by credit card. After that, the toll is passed on, the registration is automatic and you do not have to worry about the invoice. 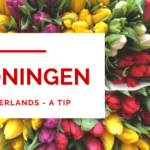 In the case of small amounts of a few cents or euros per section, the terror should be difficult to keep in line with the progress on the road. The actual coastal road is rather small and by the many towns nothing, to move even faster. After just 440 km from Malaga, we arrived happily in the apartment complex in St. Rafael near Albufeira. 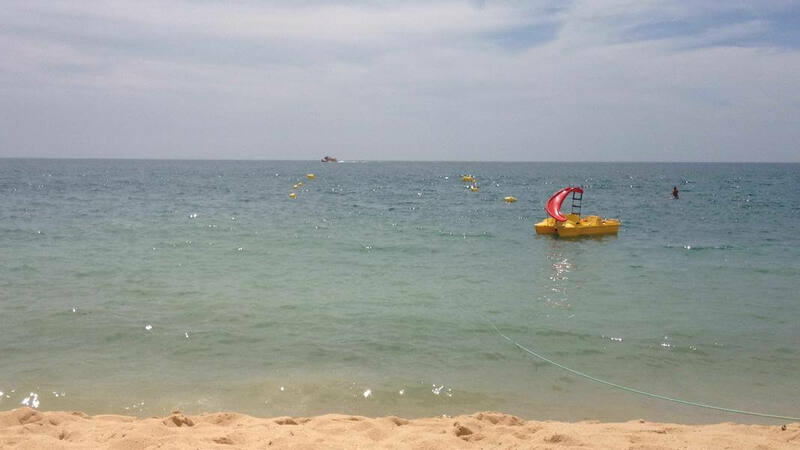 St. Rafael is located just two kilometres west of Albufeira in the Algarve and has beautiful beaches, of which the Praia de São Rafael was only 3-4 flip-flop minutes away. Ideal for the beach days and the glass of wine at full moon! On the beach itself is a great seafood restaurant, which was always well attended until the late evening hours. 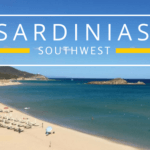 Albufeira is located relatively centrally on the coast of the Algarve between Faro in the east and Sagres with the Cabo de São Vicente in the west, so it is certainly a good destination for a “first vacation”. The place is lively, noisy, lively and touristy fully developed. At the former small fishing village, which clings to the rocks, no one of the locals can remember today either. 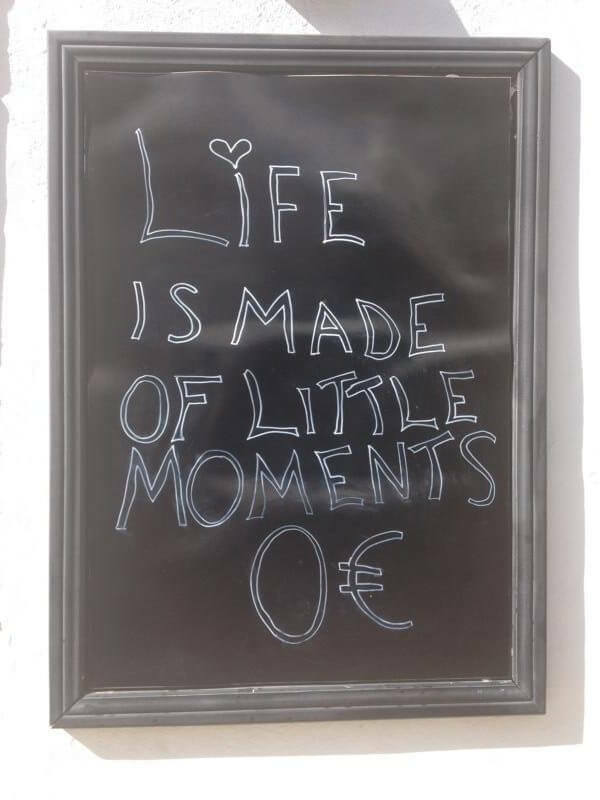 In Albufeira you can actually eat around the clock, relax, celebrate, chill, Kaffeesieren, dance, Shop… only by parking it is a bit heavier. 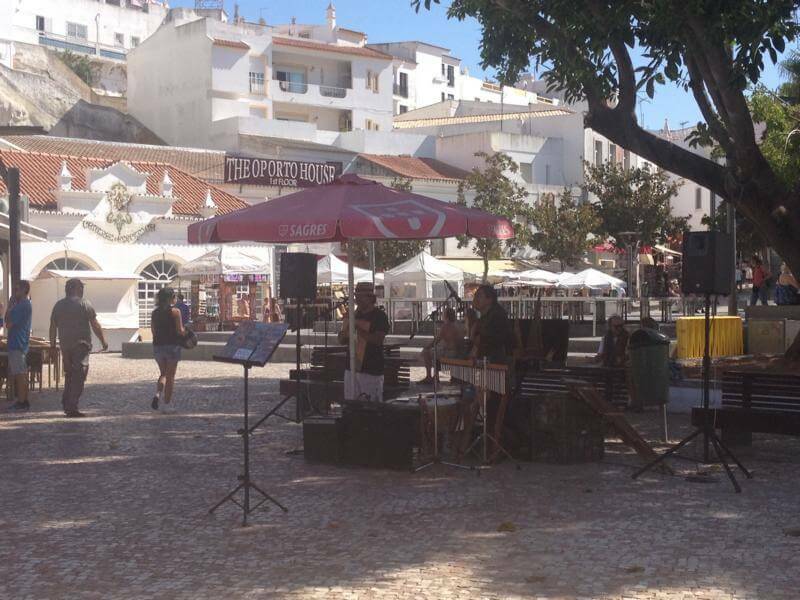 As in most tourist centres, there are also typical tourist traps in Albufeira – the restaurants in the central Market place are part of their own experience, as friendly as the waiters at the place are. Smaller restaurants in the side streets may offer better food at lower prices – the grill on the terrace was unbeatable at this point. 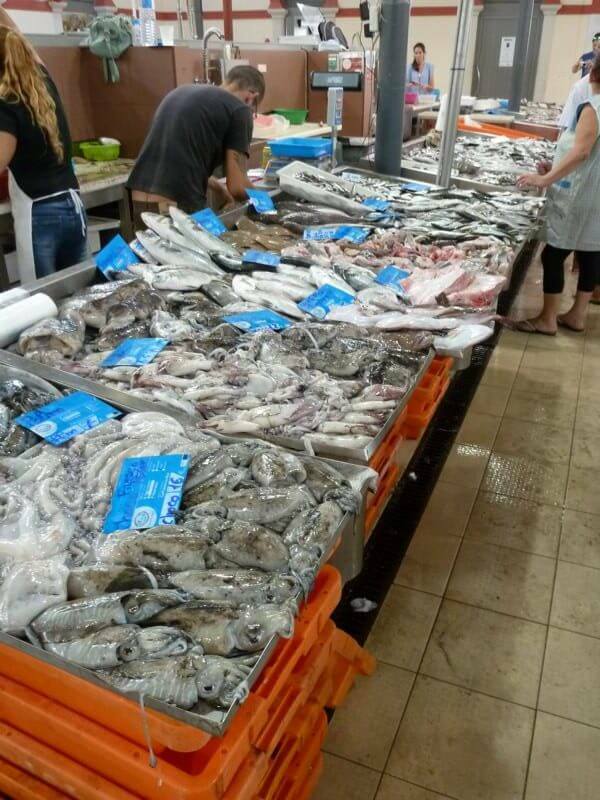 The Supermarkets Oceano – Barreto & Filhos or also the Apolónia Super Mercados are here to highlight with their great selection of fresh fish and meat. 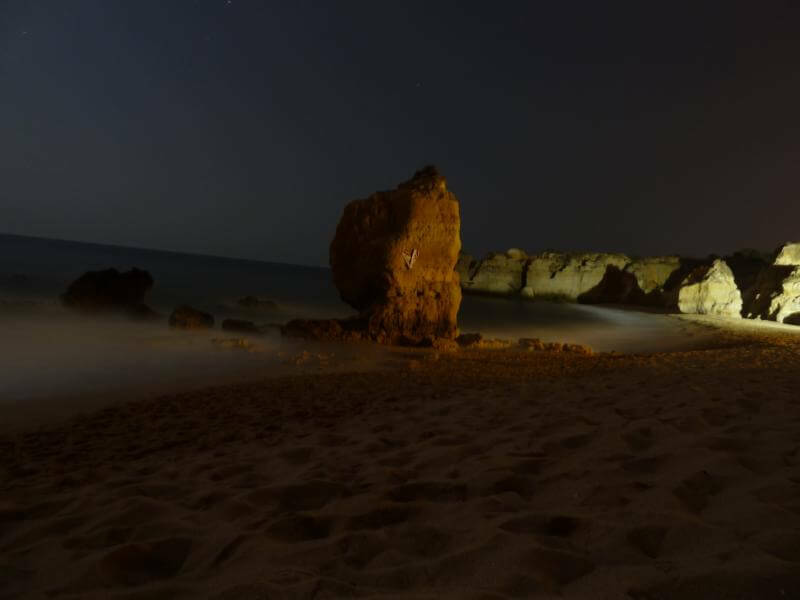 On the first day, after the evening visit to Albufeira, we first visited the Praia de São Rafael, which was to become our house beach. 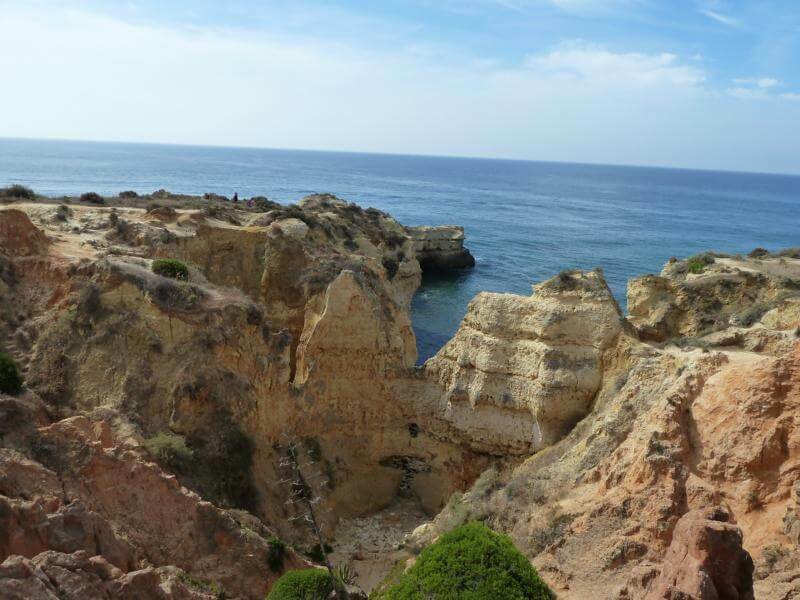 Day two in the Algarve was then started with a trip to the west, which led us across the coast road to Armação de Pêra. Certainly one of the places you can safely leave quickly as there are old skyscrapers drably together. Unfortunately, the nice promenade is no longer able to revalue the house front. 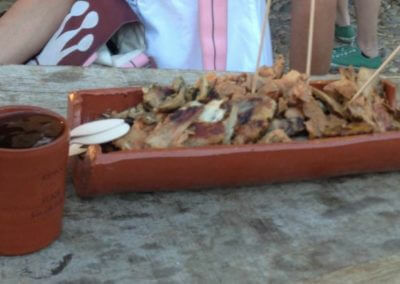 So it went on quickly to Portimão (a tip of the guide). Here again, a dismal skyscraper from the 70 – 80s greets with its special “charm”… should this be the great Algarve? Thank God the city centre was a lot more inviting. You can park well for example. B. In the car park directly under the square of the Republic, which is as good as in the city center and directly adjacent to the pedestrian zone. 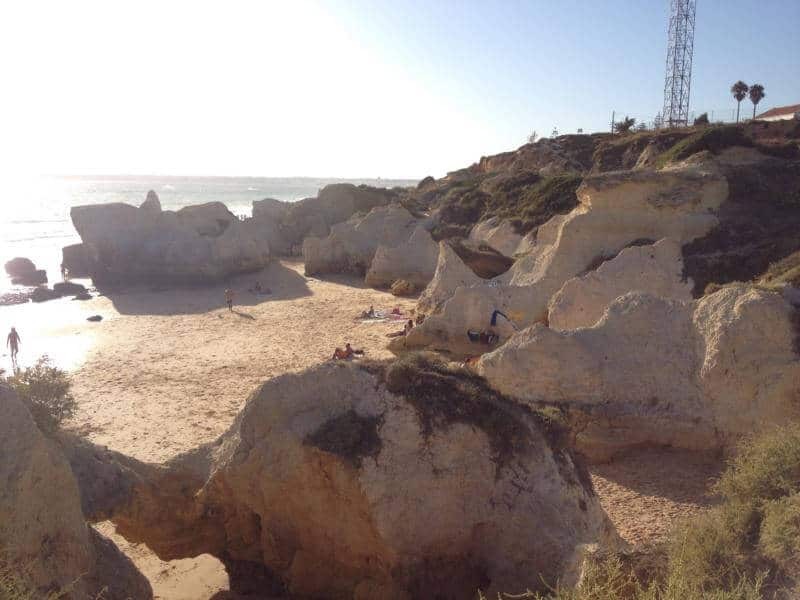 The popular and beautiful beach of Praia da Rocha is just a few kilometres from the city centre and was our next destination. After the extensive sunbathing and cooling in the pleasantly warm Atlantic, we drove on the way back still to Ferragudo. The small village on the other side of the arade opposite Portimão has preserved the style of the “small fishing village”. Not that it would not be accessible to tourists, but here you really have the feeling that you are still in a small harbour. Perhaps it is also because in Ferragudo none of the other ugly skyscrapers to be seen everywhere are standing. The N125, i.e. the coastal road, should be our good acquaintance on vacation. Even the many roundabouts will surely be remembered. Where the small village roundabouts are not worth mentioning, there is then at Albufeira roundabout with a higher attraction: two-lane entrances of four sides, where felt all the time to retract. Nice is that it goes! Day four should lead us to the southwestern point of Europe, the Cabo de São Vicente. On the way there was the town of Silves as a stopover, which should also prove to be a happy addition. In the best midday sun we have seen the Castelo de Silves, which is a ruined castle. The cathedral is also next to it. The midday sun would not be allowed for the best. 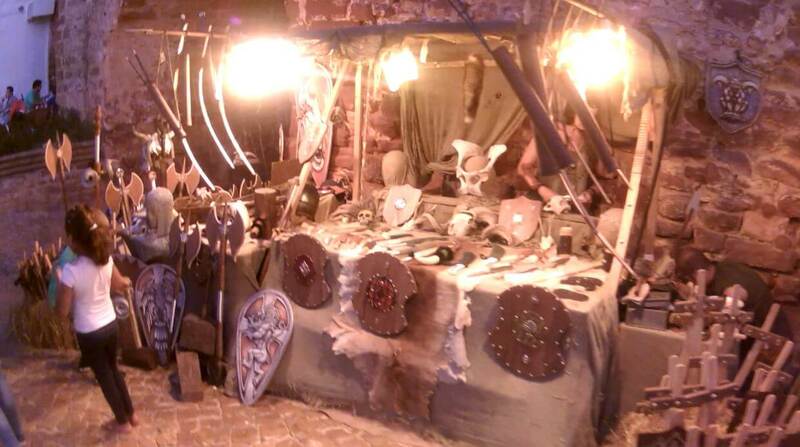 In the vicinity of the castle, a huge medieval market was held, which we were fortunate to see in detail at a later stage – the Feira Medieval de silves. 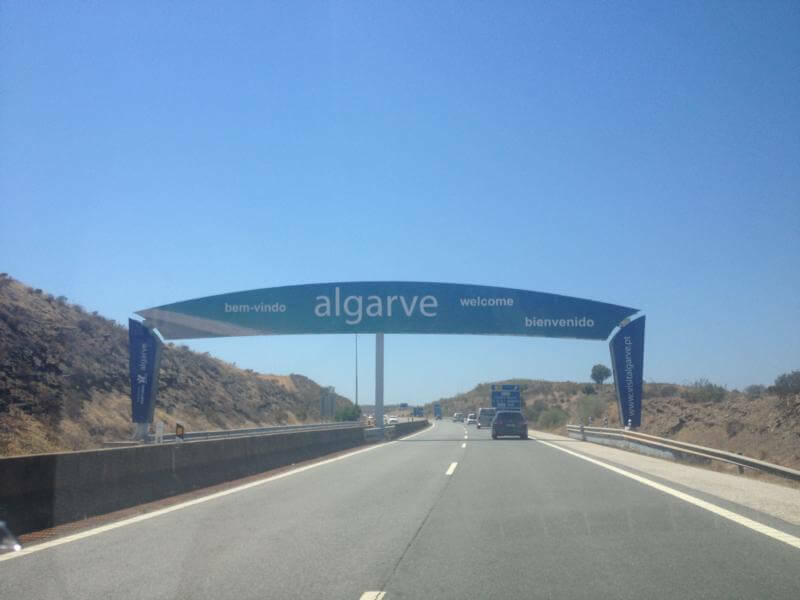 Continue West: On the A22 it was used quickly and at exit 1 then towards Cabo de São Vicente. 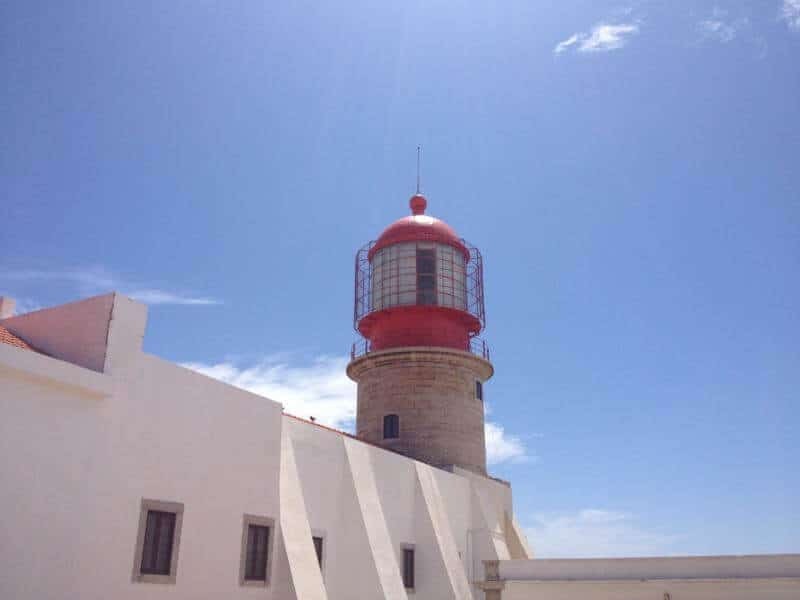 And if you are already on the way, you will of course take the Fortaleza de Sagres, from where you can see the lighthouse of Cabo de São Vicente. I still cannot say for sure whether the excursion is advisable. My expectations of the castle did not really meet and the 38 meter large wind rose was also not so the insane highlight of the castle… right next to the Fortaleza de Sagres, Praia do Tonel is one of the most popular surf beaches in the region. From the cliffs of the fort you can watch countless surfers directly. 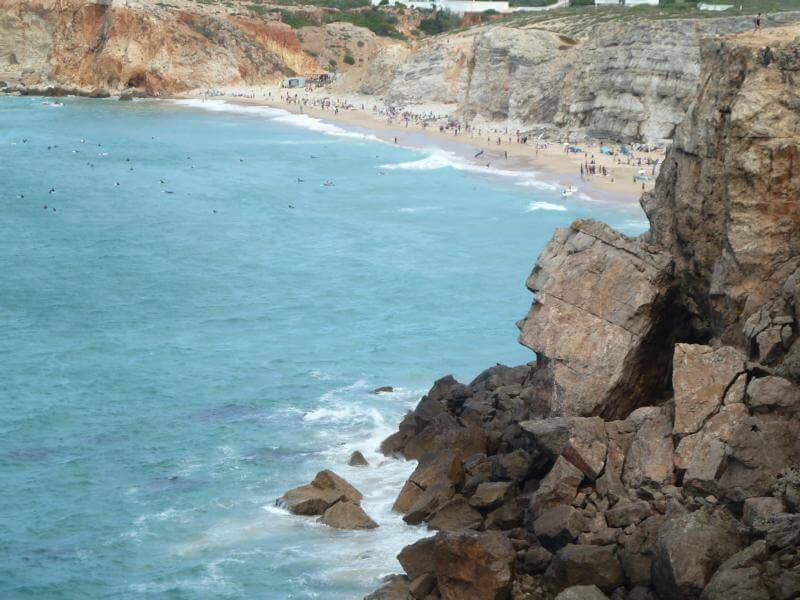 Access to the beach is right on the way to Cabo de São Vicente. The Cabo de São Vicente – the last point of South-west Europe and also, somehow, a mystical place. From there, go to the Atlantic Ocean towards America. On the spot you are in good tourist accompaniment of many other people, who also look at this otherwise rather barren place at the end of the world. 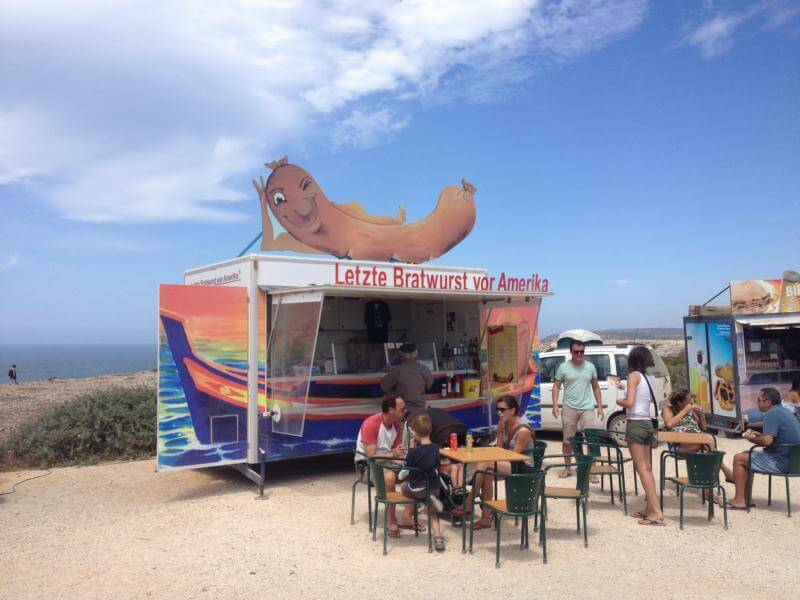 In addition to the small museum and the restaurant on the lighthouse, a German who sells the last bratwurst in front of America has settled down. Here, the sailors were able to strengthen themselves properly, before there was nothing more to eat for months. What a pleasure it must have been to keep the first bratwurst in the new World in the hands of Europe! As a real nice idea you get a certificate for every sausage, which confirms the visit of the remote place highly official! 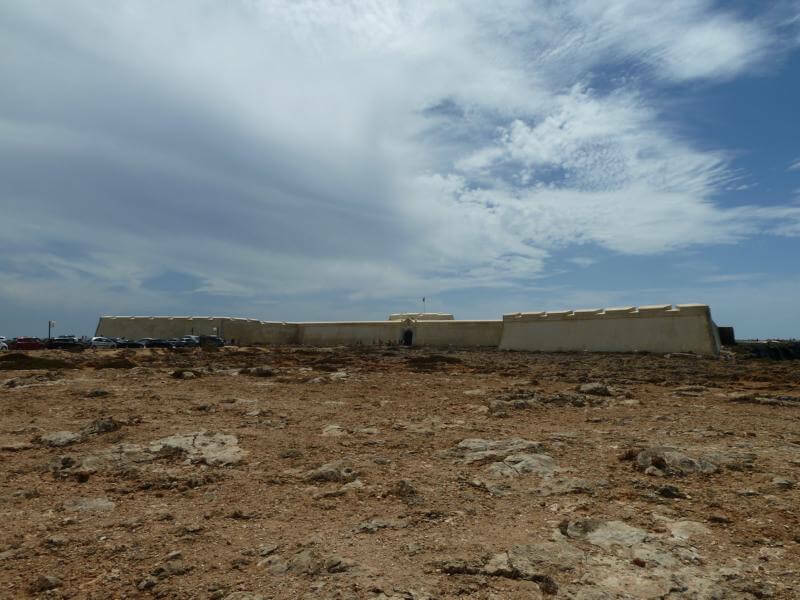 On the way back there was a small stopover in Sagres – quite windy and therefore understandably the paradise on site. Our day was far from over and so we stopped on the way of the N125 in Lagos. 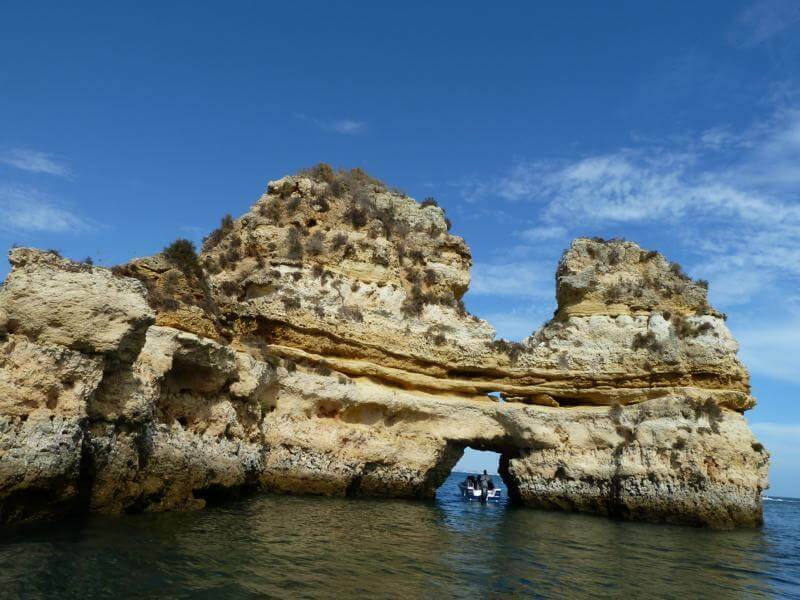 A visit to Lagos is practically the obligatory date on every Algarve holiday. You can probably see nowhere better the great coastal landscape than in this place. 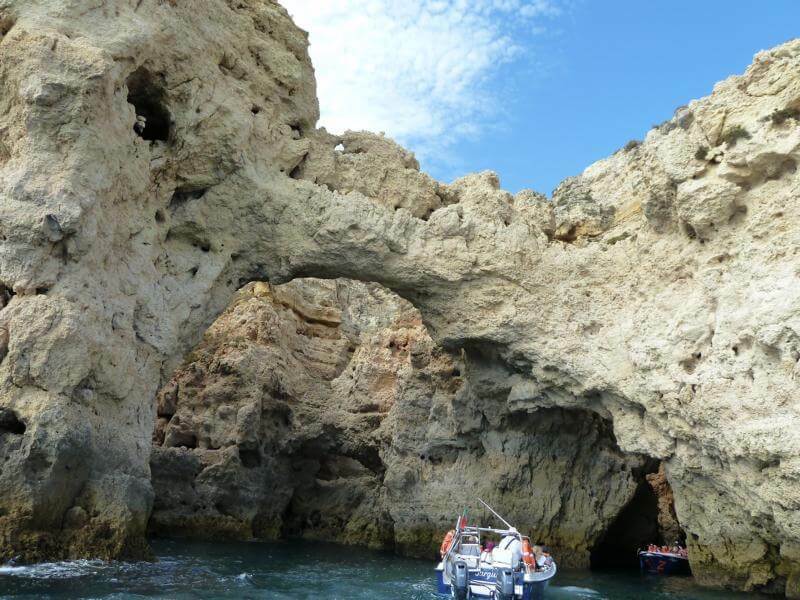 A host of boat companies has made it their task to pass on the (also) hosts of tourists on small boat on the beautiful coast and partly also in the caves (ca. 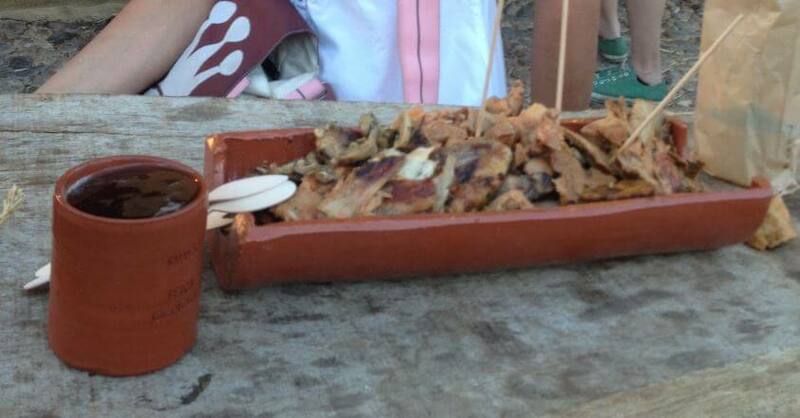 15 euro/person). It is recommended to ask for several providers. Partly the boats are crowded and you can not see and photograph as well from the middle. 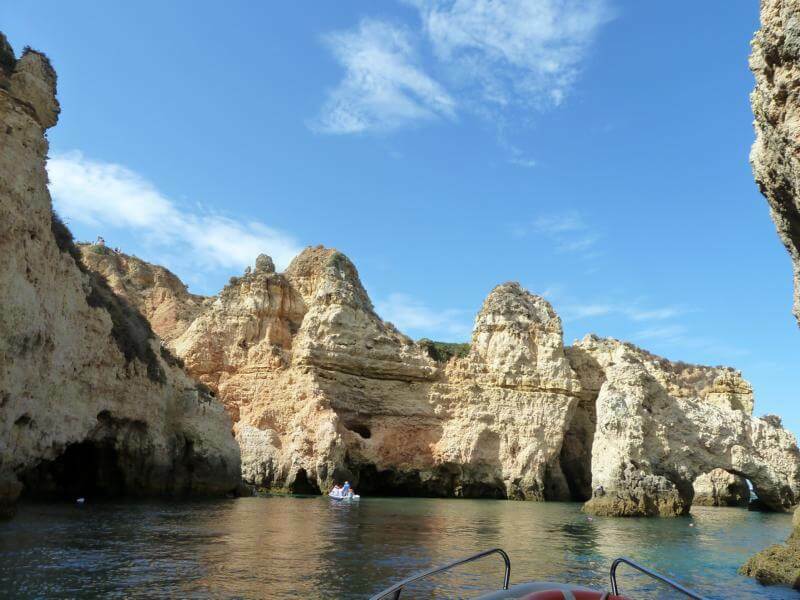 The most typical of all Algarve postcard motifs, the Ponta da Piedade, can also be seen on the boat tour. If you plan a little more time, look in the Tide calendar and drive at low tide. The boats can then go much better into the caves, which we could only imagine in part. Here the barely four metres of altitude difference between the ebb and flow is clearly visible. In addition to the motorboats, there were also many sea kayakers who had the convenience of lugging motor boats in port at the end of their tour. Motorized or paddled-an absolutely recommended excursion. The walk through the beautiful old Town completes the visit to Lagos. However, you should take good care of the parking times. The local traffic are good “on Zack” and diligently collect the promenade… you can pay directly in the car park at the court. It works smoothly! Between Lagos and Albufeira there are small but very great beaches on the coast near the small villages of Lagoa and porches. 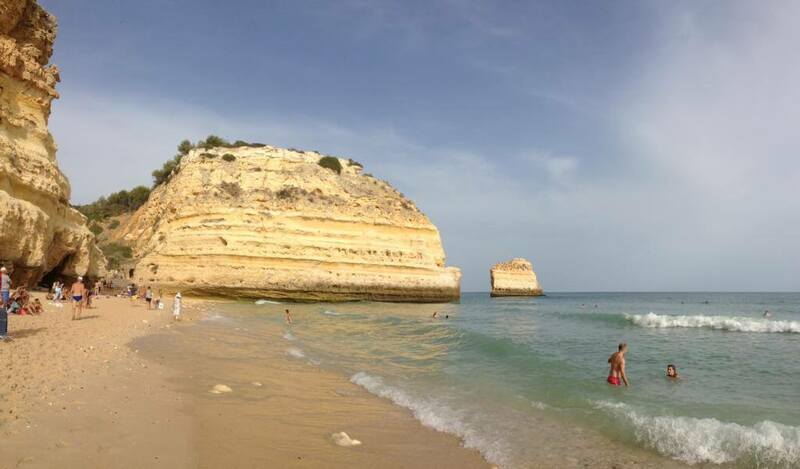 We chose Praia da Marinha directly. Access to the beach is easy to reach and after a few minutes you have run down the cliffs. You can see as compensation one of the most beautiful beaches in Europe! Unfortunately, the time passed far too quickly. Besides the Praia da Marinha there is the Praia de Benagil, which is also no less beautiful (but more problematic with the parking search). Who the many beaches and the great water are too much can go shopping in the shopping mall “Algarveshopping” even to your heart’s content. The shopping mall is outside of Albufeira and easy to reach by car. Of course about the N125. A small experience in itself is the supermarket in the lower level. If you need a new memory card for your digicam, you will also find the “words” in the Algarveshopping. The shopping mall is open until midnight and therefore also a nice destination for the evening hours. 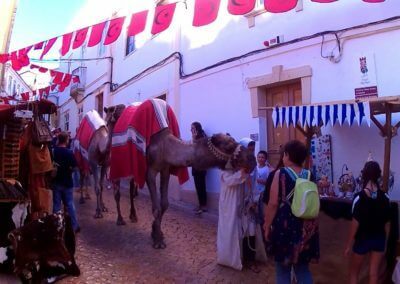 We have chosen the much better alternative and we went back to Silves on our penultimate evening, where the Feira medieval de Silves was celebrated. 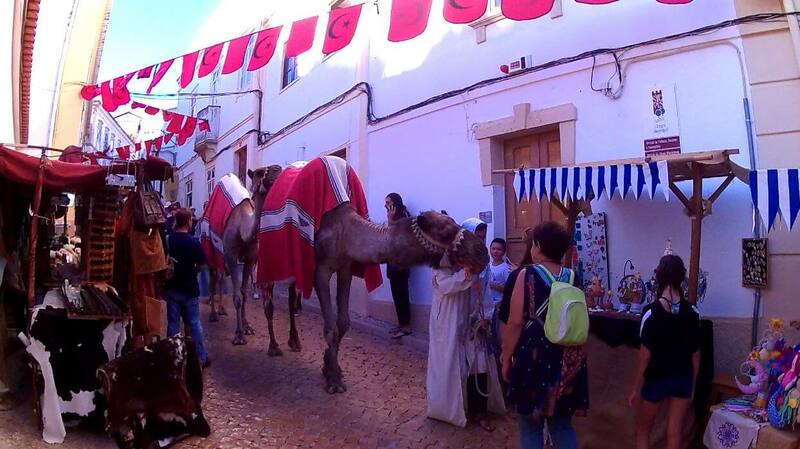 The city center was completely closed for the medieval spectacle. 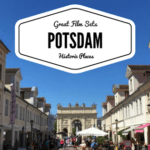 With a small entrance fee you could then see the area around the castle, the inner city and the church. 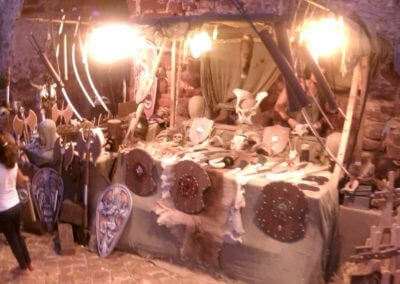 In addition to many jewellery and Süßigkeitenbuden, you could also borrow medieval costumes and dress up. Many visitors have made their time travel. The mead and wine stalls certainly helped well. In addition to the euro, the XILB was also paid as the official market currency. There were still many musical events, equestrian tournaments, theatre performances in the castle, etc. in the actual market. 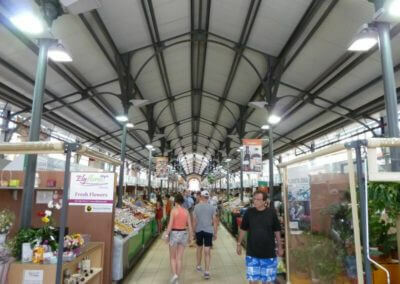 All in all, the market is really worth seeing and due to the many different performances also on several days a nice destination. With more time, we would certainly have gone there again. Fortunately, the people of Portugal also spoke English in the “felt” Middle Ages, so that the understanding was not an issue. 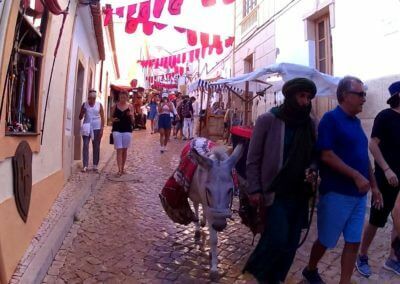 It is also very similar in all the other places in the Algarve, where many Englishmen have settled for their evening of life. 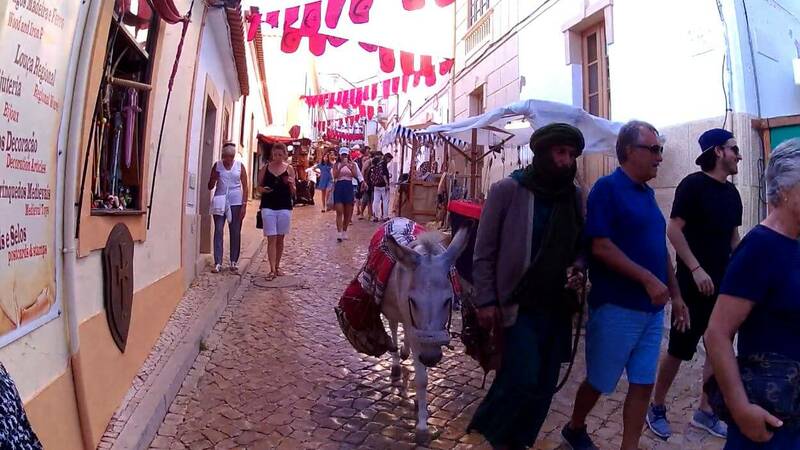 After the west of Albufeira was grazed, we wanted to see the capital city of the Algarve with Faro. 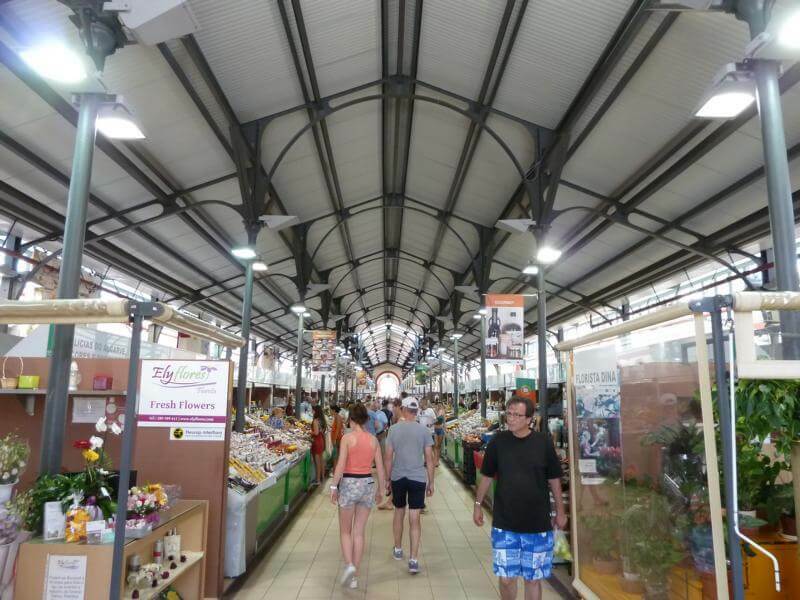 On the way there was still a short stop in loulé and the beautiful market hall. If you get up here sooner than we do, you’ll certainly see more:-). 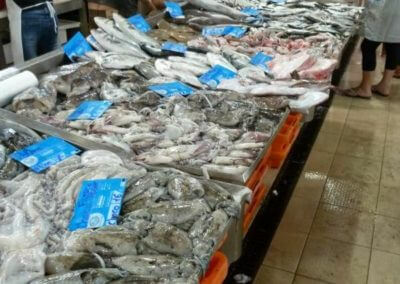 Despite our relatively late market visit in the morning, it was worth visiting, even if we didn’t buy fish or meat. The declared goal was Faro! And so we reached Faro at the best midday time and could watch the city with bright sunshine. Right at the harbour were good parking facilities. From there it went to the city centre and the hill with the church and the monastery museum. From the church tower you have a fantastic view over the entire lagoon in front of the city. 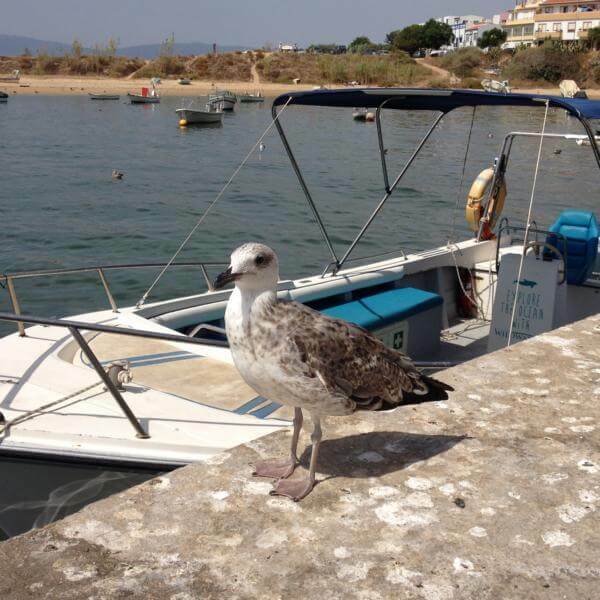 And so our holiday in Portugal should then slowly approach the end and start the next adventure Andalusia. 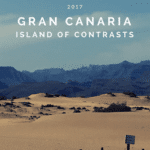 And here we go to Spain… A week Andalusia and lots and lots of sun! And because it was so beautiful and I wanted to take some photos out of the water, I bought a simple but good action cam for getting started. With the 16 or 32 GB you are already well equipped. At Amazon I found a very similar camera, which makes similar good pictures and already has a completely passable equipment for the beginning. I bought the accessory set after the holiday afterwards.